PR Samples: I am open to receiving any PR samples or samples in general to review. Just get in contact to talk through some ideas, Although I am happy to review a product in exchange for just the product to enable an honest raw review. If it is a sponsored post (I.e I have been paid to write about a certain thing by a company/brand) I will disclose that within the post itself, but ALL opinions will still be of my own as I do not collaborate with posts written for me or that are influenced in any way. 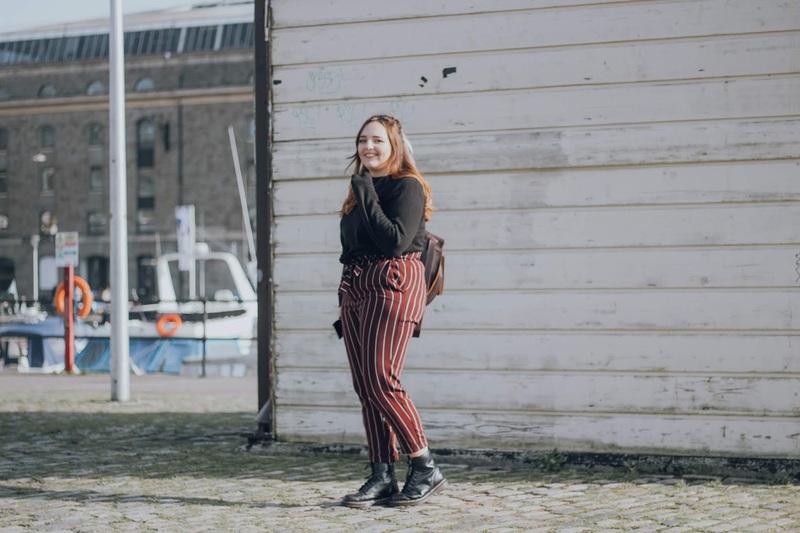 COLLABORATIONS: Whilst I do not offer spaces for guest posts on my blog due to aiming to keep my content 100% my style and as an honest representation of myself. I am happy to write for you on another platform that being your own or a brands etc. If you have any other ideas of new/different ways you'd like to collab then don't hesitate to get in contact I am always open to new ideas and suggestions! What data does blogger collect? Name or username, email address, IP address and website URL. It also collects non identifiable data such as browser information in order for me to see my website statistics. I use anonymous data to run my site efficiently and to personalize user experience. - page views by browser. - page views by operating systems. Blogger is compliant with the GDPR 2018 therefor no data will be shared to third parties. No personal data is collected such as names phone numbers or addresses. And none of the above information is ever passed onto PR's or companies I wish to collaborate with. The sole purpose of the data collection is to keep a track on analytics and views for my insights only to manage traffic and the running of my blog. The only people with access to this information is the blogger systems and myself, this information is never shared onto third parties. Whilst the option is there to comment using google usernames, email address', and so on there is always an anonymous option offered where you don't have to disclose any information. If you do choose to use username, URL, email address the following data may be collected by blogger - name or username, email address, IP address and website URL. But again the above is only relevant if you consent to commenting on my post in the first place. And Again the sole purpose of the email address & username options are to disclose your name/account name to identify yourself and to gain access to notifications for follow up comments. You can choose to be notified for follow-up comments by email and be notified for new posts when you leave a comment. These things are optional and only you can opt in. If you do choose to use the options where your name or identity is used this will be shown on my blog for identity purposes, but if you are unhappy with your name being shown you have the option to select the anonymous option, or to get in contact personally with myself through email. Before finishing your comments posting process you will be asked to complete a I'm not a robot task, this is simply to generate a code or task to prove that you are not a bot posting spam comments. These cookies do not collect personal information but monitor your behavior whilst browsing. If you leave a comment on my website you may opt-in to saving your name, email address and website in cookies. This is so it’ll save you time if you comment again however this is optional. These cookies will last one year. How long is data kept for and do I pass any of it on? Whilst data such as comments along with email address', google profiles and usernames will be kept indefinitely on my blog. You have full permission to withdraw/delete your comment at any time along with asking me to remove it if that is not possible. I will delete any data that is within my control if you personally wish me to do so surrounding comments. I never pass on any information such as email address', ip address, country, google names etc. They are for your own consented identification purposes only. The only data I may pass on to PR's is the anonymous stats such as how many page views I get monthly. But just to make it clear that I will never include identities, countries, web browsers (or any of the information that blogger collects automatically) All this information is for myself only, to keep track of my blog traffic and behavior.